For US-based DJ/producer, Myon, the mixcomp was the go-to medium to get music. Now though, he feels they have lost some lustre and through his mixcomp, ‘Tales From Another World’, it’s something he’s aiming to try and re-establish. It’s his first in a series that will go to new, and indeed he believes the furthest lengths to concentrate the essence of its settled-upon city, country or continent. Myon’s .01 debut rests inside that latter parameter. Buoyed, he then went on the hunt for fresh-from-the-desks material that had notable Latin presence. As part of that process, ‘Ushuaia’, ‘Panama’, ‘Coral’, ‘Cala Saladeta’ and ‘Salvador Nights’ surfaced. This respectively brought music from Estiva, Pavel Khvaleev, Lee Coulson, Hausman, and Farius to ‘Tales From Another World Vol.01’s table. With musical ethnicity from the continent forefront in his mind, he also retouched several current numbers to use exclusively as part of the compilation’s story. At cooler tempos and working with banks of instrumentation inherent to the area, he re-centered tracks like Late Night Alumni’s ‘Low’, ‘A Deeper Truth’ from Sygma & Anne Hathaway and Gabriel & Dresden’s ‘You’. “‘Tales from Another World’ is a series I would like to continue for years to come, with every volume representing a different continent, country or city,” concludes Myon. “I felt so much joy creating this, and I can only hope you will feel the same listening to this as I did as a kid in the ‘90s”. 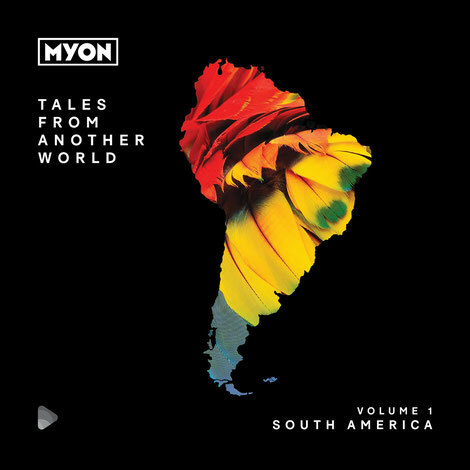 Myon’s ‘Tales From Another World’ Volume 01 – South America’ is out now on Blackhole Recordings.